How Long is an English Vowel Sound? Well, let’s test that answer: you are now going to hear 6 words, each one will either be SHIP or SHEEP, all you need to do is decide which one you hear. Ready? So the /ɪ/ vowel sound in SHIP is not necessarily shorter than the /iː/ vowel in SHEEP, this is not then the main difference between them. The key difference is the lower position of the jaw and more central position of the tongue in /ɪ/; the position of the mouth is always different. In a normal, (citation) context, in which no special intonation is added to the words, it is true that SHEEP will generally be a tiny bit longer than SHIP, but I really mean a tiny bit – a few milliseconds. OK, let’s have a go everyone: SHIP, SHEEP. Most noticeably, whenever a voiceless consonant sound /p,t,k,f,s,θ,ʃ,h,tʃ/ comes after a vowel, it makes its length shorter. So compare CARD with CART, BEAN with BEAT and NO with NOTE and you will notice that the second word in each pair was shorter. This means that the supposedly ‘long’ vowel in PEACE is actually normally shorter than the ‘short’ vowel in HID even though you will see them transcribed as /piːs/ and /hɪd/ in dictionaries. One peculiar pair of words that can confuse learners for this reason, is LOSE and LOOSE. The /uː/ in LOSE /luːz/ is in fact longer that the same sound in LOOSE /luːs/, as the first word ends in a voiced consonant /z/ and the second in a voiceless /s/. The extra vowel in LOOSE has no effect at all on length other than perhaps to confuse learners. Notice that /kɑː/ was progressively shorter in each word? This is because the weak vowels after the stressed syllable eat into the space available for the ‘long vowel’. In connected speech, this causes long vowels to reduce in length significantly. Yes I think I ↘will. How to Learn Vowel Length.  It may help for newcomers to English pronunciation to divide vowels into SHORT, LONG and DIPHTHONG sounds to begin with, simply to learn the range of 19 sounds. It is essential from the beginning, however, to learn the sounds as unique positions of the mouth using the jaw, tongue and lips. All this sounds interesting, but it might rather confusing for beginners. Yes, Marrone, I agree it probably would be. But even with beginners I (EFL teacher) would try to make them HEAR the differences in vowel length and would definitely point out mispronunciations of some common words (eg fit/feet). I probably wouldn’t ‘teach’ pre-forttis clipping unless I was specifically working in a pronunciation class or speech coaching, but some of my advanced students have figured it out for themselves when I’ve asked if they can hear the difference (eg feed/feet or word/work). Intonation causes the biggest headaches for me! This is a bit like splitting hairs and it hardly helps us poor teachers trying to get our students to even start to hear the difference between ship and sheep. One of the most difficult aspects in teaching English. It’s beginners that need this most. They’ll find it a lot easier to digest than teachers do to teach. It took me 8 years in England and a master degree in Applied Linguistics and TESOL to finally get the sound right! As an EFL student, I think the trick is to focus on the right position of jaw and tongue, as well as understanding where in the mouth the sound is produced. Thanks . It is very helpful ! Another really interesting, well-written and humorous blog. I love you guys! Thanks for the article. Comparing /iː/ and /ɪ/, you write that “[t]he key difference is the lower position of the jaw and more central position of the tongue in /ɪ/”. For some readers it might be unclear what central position is and where the tongue should go when one switches from /iː/ to /ɪ/. As I understand, the tongue retracts a bit from the front towards a more central position, and also goes down with the jaw. Is that right? It’s really interesting and inspiring for teachers. Very interesting indeed, but since the diphtongs /ɪə/ and /eə/ are seldom heard amongst younger people, it would be even better if presenting FEAR and FAIR with long monophtongs /ɪ:/ and /ɛ:/. Most readers of this page are likely to be considerably younger than David Attenborough and hence it would, I think, be more appropriate to teach the ‘modern’ sounds.